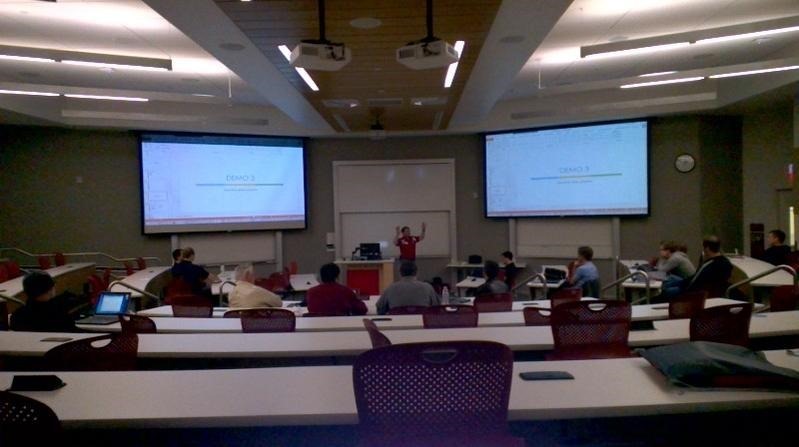 Yesterday I had the opportunity to attend Utah Code Camp. As I live in Salt Lake City, it was kind of like camping out in your backyard. It was great to catch up with old friends and make new ones. The past few years I was one of the organizers of this camp, but this year I decided to step back. I will admit, it was good not having to keep things running and just be able to attend. I haven’t heard final attendance numbers, but Friday night, they were expecting between 600 and 700. That’s down from last year, but that was expected. My session was right before lunch. 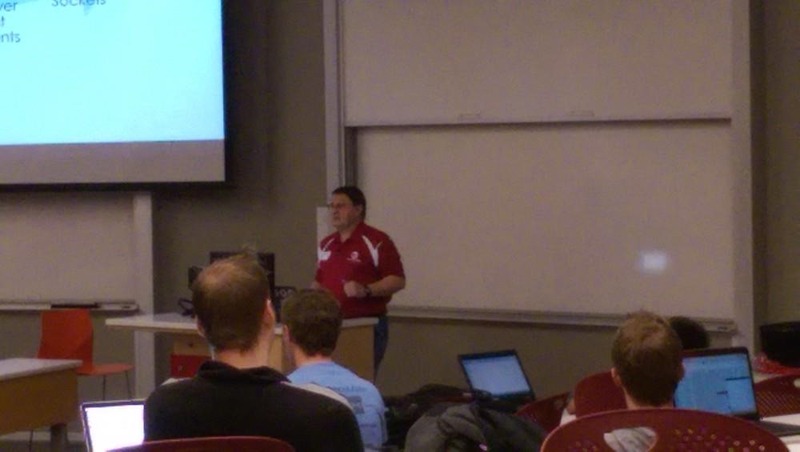 The title was “A Little Non-chat About SignalR”. The idea came from my observation that most SignalR articles and demos show you how to create a chat app. I wanted something more realistic, that you would actually use in a real application. I have an application in production that uses progress bars and notifications, so it was a no-brainer to show how to do those. The other demo shows real-time data updates from one application to another. Despite some pretty serious hardware issues and trouble with the projector, we got through everything and I think those of you who remained to end saw just how easy SignalR is. The demo code and slides are now available. Thanks to @JoeMayo and @mgerickson for the pics. I’ll be back next year. After all, it is my backyard. My next stop is Boise Camp Camp on March 21.